From a finance perspective, I like having the integrated time, expense, billing, GL, project management all in one place. That is a huge value to our firm, provides tighter controls and more insight into our business. The upgrade process is hugely demanding of our resources. With the rate at which new features are being implemented, we want to upgrade as often as makes sense but it takes a lot for our team to accomplish this. However, with each one it does get easier. Attending their annual Insight Conference is hugely valuable to learn about their roadmap and even influence their roadmap. They do a great job of listening to their customers and make every effort to improve our experience with the system. We are able to invoice quicker than ever before with Maconomy. That's the benefit of an integrated ERP system. Our billers can bill anytime, provided all time entry is up-to-date. "Outdated time and expense tracking system"
I think the best part of Maconomy is that it is pretty simple to use. Once you input your time sheet once or twice, it is easy to pull in data from past experiences to fill out future weeks. In addition, filling out expenses doesn't take too long, assuming that you fill out the same data from week to week. The user interface (UI) of Maconomy is super dated. Like many other data management systems, it looks like it was created back in the 90s or something. I also really dislike that it doesn't just save data (like using autocomplete), meaning that I need to write down or search for task codes over and over to input weekly information. Changing something like this could save a load of time and aggravation for me. We use Maconomy to track our hours worked on each project as well as for our expense system. We can then turn around and use the data and bill out to our clients, and track project resource usage and efficiency in general. In terms of benefits, we have been able to use this system to ensure that expenses are paid back to employees in a timely manner. We have also been able to see where we are overbudgeting resources and where we can reallocate some to other projects. As an ERP there is a ton of great functionality. To have all of our core functions in one place (time entry, expense reimbursement, budgeting, billng, and GL) greatly simplifies management of a professional services firm. The reporting functionality that comes with the standard system is not so strong. There also seems to be a continual shortage of individuals at Deltek to provide support. Work as closely as you can with the standard setup. Customizations in both reporting or structure make utilizing the system more challenging at the time of updates. You should plan in your budgets for at least one upgrade a year, with everyone other year one being a more significant one where you would likely incur $15k to $20k of expense and then every 10 years an upgrade that is more like a new system implementation. On licenses, you should do a growth analysis of users. When we acquired the software we bought just the number of licenses we needed. In this number we got a good bulk discount. Then in the future we started adding 10 to 20 at a time. The bulk discount is based on each individual purchase so we didn't receive any discounts when we added licenses and are paying significantly more for our new licenses which are now about equal to 50% of the original purchase. There is no way to start that over. We have created a very efficient online billing process that allows individuals responsible for billing to have access to real time information. The ease of which we can move from client based data to GL data is also tremendous. "Good reporting but very user friendly"
I don't like how user unfriendly the application is. There are many instances where in order to go to the next screen you must open other windows and complete and save before moving on. Time and Expense tracking - It functions well but isn't very modern or user friendly. The application is very outdated. "Easy way to track hours"
I like how easy it is to use. You can keep track of your hours and easily go back to access old work weeks. The calendar gives a good table of billable vs. non-billable work. After you click 'submit' button on a day, you are unable to go back and edit your hours from that day. I wish there was a way to un-do the 'submit' button. I think Deltek Maconomy is a great system to use in order to track your hours for work. It is easy to use, user friendly, and good program. I like how simple it is to input your hours. My only complaint is that I cannot edit my hours once they have been submitted. Also, my company spelled my name wrong when they created my account and I am unable to change it. I wish there was a simple way to edit your name and username after the account has been created. Other than those minor complaints, the program is great and I would recommend it to a company for time tracking. 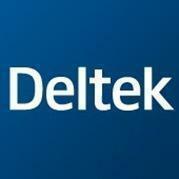 I have a positive view of Deltek products for work-related activities. I am able to view how many hours a week I'm billing hours to a client. This is helpful for the business so they can see how many client vs. non-client hours I am working on. "The ultimate cliche of a Business system...in all the worst ways"
It links with a few other systems and allows me to pull reports. The UI is just abysmal, the entire systems runs on Java and clearly the code hasn't been looked at in ages. The color scheme is shades of grey which only adds to the the depression that occurs as a result of usage. The supposed API for the product has no documentation on the website, and from what I was able to find - it uses their proprietary "Mscript", whatever that is. So, good luck integrating on your own. The amount of errors I run into on a weekly basis is just staggering and they aren't human-readable, so there's nothing I can do with them. Definitely consider other products first - and think about integrations and user experience the most. We're tracking utilization and billability of resources via the time they report in Maconomy (which we have to constantly remind them to do, because they hate the experience), that has allowed us to allocate more efficiently. "Multifunctional HR tracking system- comprehensive but could use some work on making user friendly"
I like that it is comprehensive- a one stop shop for several HR systems (time tracking, absence/vacation tracking, expensing). There are some shortcuts available but these can be hard to learn to use well. It can be glitchy and hard to use. Within one day of using I had a major issue, and this may be due to it being hard to use and very particular / while not self explanatory. "Centralized Billing and Time tracking"
Maconomy has centralized billing and time and expense tracking all in one software. It is an ERP system well built and has gotten better with time. The company provides continuous upgrades and has been working a great deal on its speed. The reporting on the software is very versatile and easy to customize. The cost of the software seems to be going up with every upgrade. The documentation of the software could be better. It is a good ERP system with all the components built into one. So complicated - too many tabs/sections. It's very hard to see approver comments, there are frequent errors if you're not in the correct screen (although most screens appear the same). Web based was better - could access it easier from multiple locations, worked faster, more streamlined. Accurate reporting, tiers of approvals. "It works well - easy to post time and expenses"
To me, I really like the ability to fill out my expense reports and submit via this software. It's easy to use and self-explanatory for a company the size of the one that I work for. Sometimes, I find it hard to search appropriate billing codes. I usually end up reaching out the personnel to find the appropriate codes. Take time to get to know the tool so that you get the full benefits from it. So many! I work for a very large PR firm this helps create efficiencies around billing clients, expenses, vacation tracking, etc. Helpful as a user and I'm sure it is super helpful to the administrator. I like that I can copy my time and expense reports from the previous week, especially because I usually incur similar hours and expenses for the same client. The system is outdated and is very finnicky. For example, I can't just click x to exit out of the program; I have to go to file, exit program. The user interface could also use a facelift. My company uses deltek to track time and expenses. It is nice that it is one done within one software. I like that this allows me to complete all of our travel expenses in one area plus keeps our time sheets in order. This programs time out very quickly which can add lots of time to your task by re-logging in every 20 mins. This has been a great tool for us to manage multiple aspects of our business on one platform. "The slowest time entry system"
Slow response. It takes forever to search project names, to save or to submit. Bad UI. Please do not use this software. It is a corporation. It's super slow. No stop watch to track your time like Toggle or Harvest. You have to manually enter your time everyday, every week. Even with working with the system for 3 months, we are still learning how to use the program. It can be somewhat difficult, but at the same time simple because everything is set up thanks to our excellent IT department. Each project and job codes are segregated into different categories. We use it for keeping track of expenses and job reconciliations. the recently added "quote plus" feature. It's a step in the right direction. how archaic the system is. It's embarrasing. We use Maconomy for various purposes-- job creation, estimate creation, time keeping, time approvals, etc. "Deltek is fairly easy to use and gets the job done." Ease of entering time, and I like that you can save time entries to be repeated in the future. It could use better search functions and better reporting capabilities. It could also be a little bit more user friendly. I am able to track my time on whatever time interval I would like. Helps me to stay on top of my time tracking throughout the day. "Functional but retro, convoluted accounting system "
Scenario specific to our business requirement were easily handled by the functionality provided. It's very hard to code, even a small change require huge amount of code. "A product people love to hate"
Like that everything is online and easily accessible. Complicated to navigate, and tends to be pretty slow. What's more, doesnt seem to work well in Chrome. Time tracking - a vital task for the services business. * We monitor all Deltek Maconomy reviews to prevent fraudulent reviews and keep review quality high. We do not post reviews by company employees or direct competitors. Validated reviews require the user to submit a screenshot of the product containing their user ID, in order to verify a user is an actual user of the product.